Nothing like a little Betty Boop and Cab Calloway to wrap up 2011. Max Fleischer did another great job of rotoscoping Cab's dance movements in "Saint James Infirmary." From the Internet Archive, here is the 1933 animated short, Snow White. 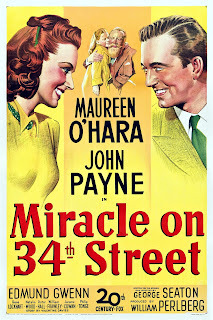 Another monthly thanks is due to The Hollywood Revue for its preview of the January 2012 TCM schedule. 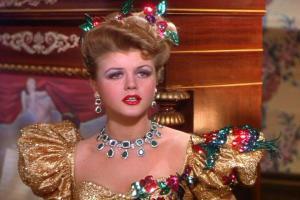 Angela Lansbury is the star of the month. This morning's Sunrise Serenade was "Santa Claus Is Coming To Town" by Bing Crosby and the Andrews Sisters. Yes, I know it is December 30, but tell that to my unconscious. Besides, there are twelve days of Christmas, which is why I keep my tree up until January 6. Enjoy the video below from YouTube. I first saw this posting of Midget Motor Mania on the Hemmings blog, but there was not much information on the date. After a little research, I found more detail on The Jalopy Journal. Apparently, the newsreel was released in October 1940, and shows a "rail" type track in Reading, PA.
What’s interesting to consider, is that by the late 50s, the tether car hobby was nearly extinct. It’s been said that this happened due to a shrinking amount of spectators, as the pint-sized cars had just become too fast and the fans could no longer view them in action very easily. The little racers also lost some of their appeal when they began to get too streamlined in appearance, and no longer represented the real midget race cars of their day. This morning's Sunrise Serenade was "The Wreck Of The Old 97" by Muggsy Spanier and His Orchestra. Click on the song title to listen courtesy of Jazz On Line. The playlist for the December 28, 2011 broadcast of the Swing Shift Shuffle New Year's Eve Special has just been added to the playlist filing cabinet. 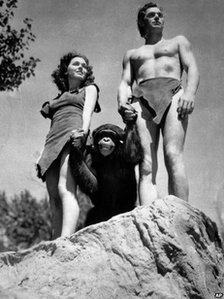 One of the chimpanzees who played "Cheetah" in some of the Tarzan movies of the 1930s died on Saturday at the unbelievable (for a chimp) age of 80. The Tampa Tribune reported that the Suncoast Primate Sanctuary in Palm Harbor, Florida received Cheetah around 1960 from the estate of Johnny Weissmuller, who played the title role in the Tarzan franchise from 1932 well into the 1940s. There is little doubt that, throughout the run of those movies, the studios used more than one chimp to play the role of Cheetah. According to the article, this Cheetah starred in some of the earliest Tarzan movies like Tarzan The Ape Man and Tarzan and His Mate alongside Weissmuller and the original "Jane," Maureen O'Sullivan. Today's Sunrise Serenade was "Fresh As A Daisy" by Glenn Miller and His Orchestra. Click on the song title to listen courtesy of Jazz On Line. 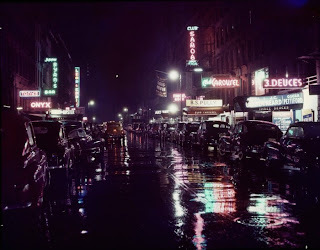 The last Red Hot Lindy Hop lesson and session of 2011 is this Friday night at the Rumba Room. The lesson will be taught by Kirk and Kimmie, with music by Kimmie. Free admission before 7:00 p.m., and $5 at the door afterwards. The RHLH starts a new gig in January. The Tiger Rag will be every Wednesday at 8:00 p.m. at Rhitts on Rex with a $7 cover. Top RHLH DJs will spin the tunes. Opening night will be January 4 with live music from Jeremy Shrader's Quintessentials. 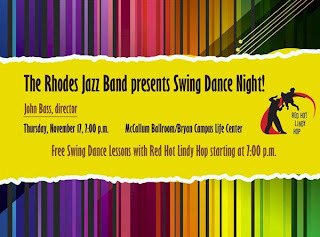 You can register now for a four week course of Progressive Lindy Hop lessons from RHLH's Top Teachers starting in January. The lessons are every Wednesday before The Tiger Rag. Special Grand Opening Rates now until April! My unconscious is continuing the holiday spirit. This morning's Sunrise Serenade was "Happy Holiday" by Ray Noble and His Orchestra with Cathy and Elliot Lewis. Click on the song title for a sample from emusic, or click here for the album page. 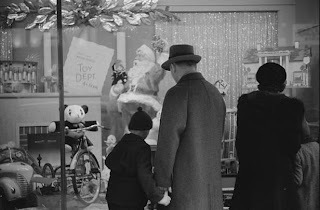 The Bijou Blog posted another holiday treat, Celluloid Christmas Cheer, which let us know about XmasFLICK's Vintage Christmas Film & Music Channel on YouTube. It is packed with vintage films and animated shorts. 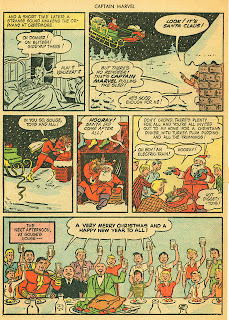 One such cartoon is this holiday greeting by Max Fleischer from the year 1936: Christmas Comes But Once A Year. 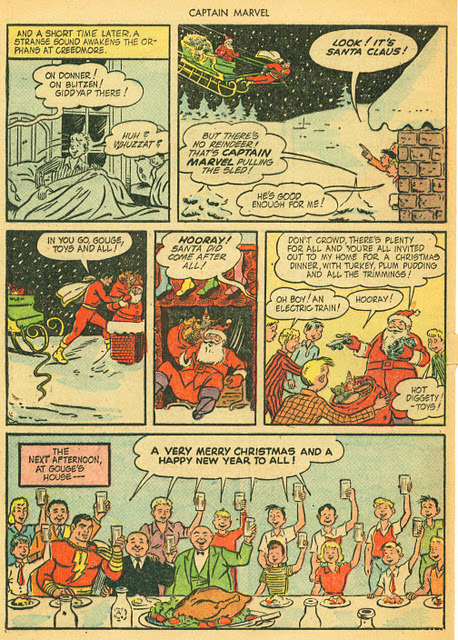 Yes, I admit that this 1944 issue of Captain Marvel and the Plot Against Christmas, posted on Four Color Shadows, is a pretty obvious and simple variation on Dicken's A Christmas Carol, and there is not even any time travelling involved. 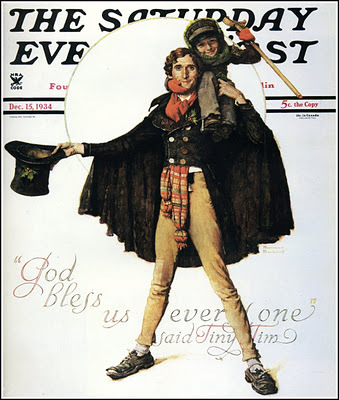 Nevertheless, I enjoyed reading every frame as the Captain taught a miserly old toy company executive the true meaning of Christmas. It certainly put me in the Christmas spirit. This morning's Sunrise Serenade continues the holiday classics with "Christmas Candles" by the Andrews Sisters. Enjoy the video below from YouTube. 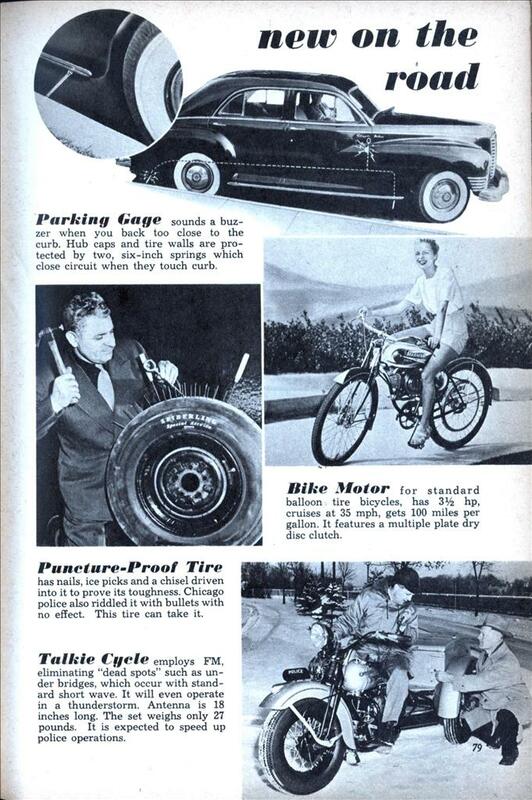 Just in case anyone needs any last minute gift ideas for yours truly, feel free to pick any of the suggestions from this article in the December 1936 issue of Modern Mechanix, posted on Modern Mechanix. Most of them would not be out of place under a 21st Century tree. The tool kit, radio and bicycle are my favorites. The playlist for the December 21, 2011 broadcast of the Swing Shift Shuffle Christmas Special has just been added to the playlist filing cabinet. 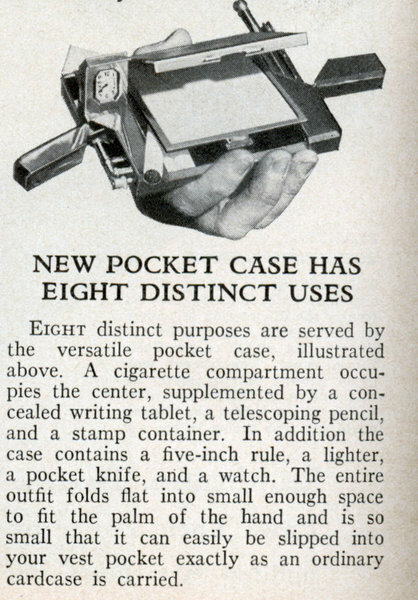 Here is a last minute gift idea from the 1930s. I am a fan of multitools, especially the original multitool: the Swiss Army knife. I've been able to fix many a minor problem with my trusty SA knife. 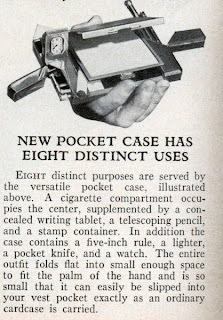 This post from the June 1933 issue of Popular Science, posted on Modern Mechanix, gives the multitool a cosmopolitan vibe with a cigarette case, lighter, watch, pocket knife, pencil and writing pad. Swing Shift Shuffle Christmas Special Tonight! Speaking of Louis Armstrong's version of "Winter Wonderland," you will be able to hear it and many other great Swing Era Christmas classics tonight on the Swing Shift Shuffle Christmas Special! Tune in from 6:00 to 8:00 p.m. (Central) on WEVL 89.9 FM in the Memphis area, or listen online at wevl.org. This morning's Sunrise Serenade was "Winter Wonderland" by Louis Armstrong. Enjoy the video below from YouTube. Start your Christmas weekend right with the Red Hot Lindy Hop weekly lesson and session this Friday night at the Rumba Room. The lesson will be taught by Amanda and Matt, with music by Amanda. Free admission before 7:00 p.m., and $5 at the door afterwards. Hope to see you there! This morning's Sunrise Serenade was "Angie, The Christmas Tree Angel" by the Andrews Sisters. Enjoy the video below from YouTube. In the late 1940s and early 1950s, The Saturday Evening Post ran advertisements from Armstrong Industrial Insulation that featured unbelievably complex, detailed and frankly beautiful "cutaway" drawings of large buildings like hotels, movie theaters, office buildings, etx. 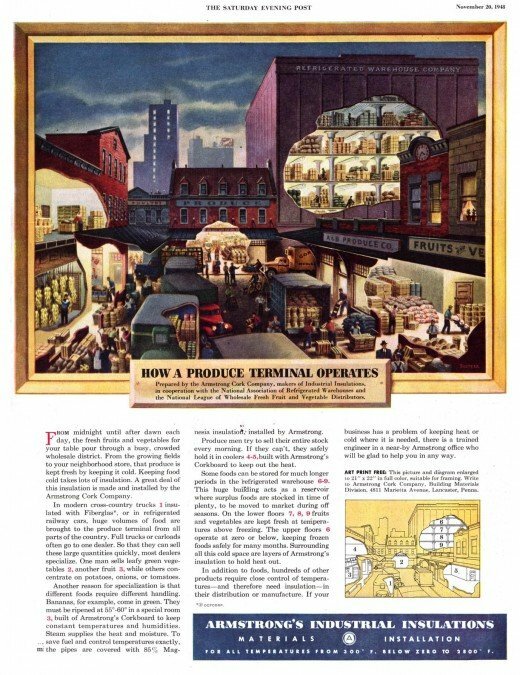 Retronaut posted several of them, including this one of a produce terminal. Here is another encore from Christmas posts past: a Jam Handy animated short directed by Max Fleischer. From the Internet Archive, here is Rudolph the Red-Nosed Reindeer. This series of photographs posted on Retronaut has everything you would expect from teenagers in 1947: bobby socks, saddle oxfords, jalopies, soda fountains, and yo-yos. 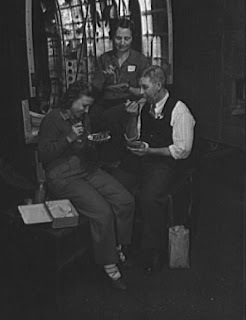 Frankly, I was a little surprised at the apparent popularity of yo-yos in the late 1940s. This morning's Sunrise Serenade was "Let It Snow, Let It Snow, Let It Snow" by Woody Herman and His Orchestra. Enjoy the video below from YouTube. Speaking of Batman, here is the first Batmobile on film. Now that is a crime fighting vehicle! 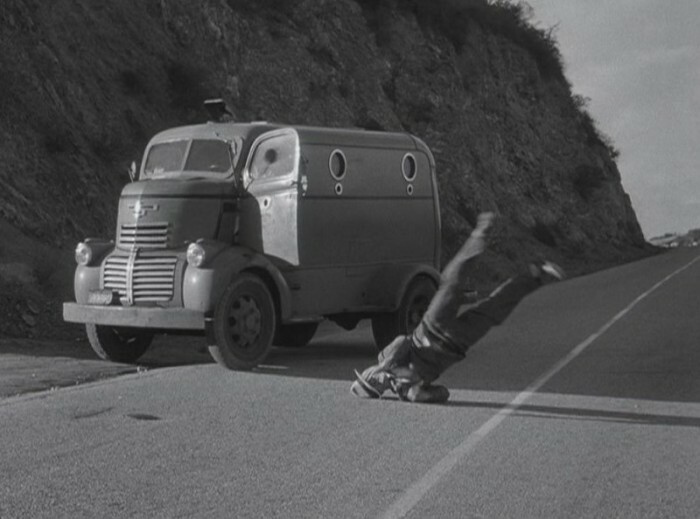 The Hemmings blog did a little movie carspotting (or in this case truckspotting) to identify this Batmobile from the 1943 and 1949 serials as a 1 1/2 ton GM (either Chevrolet or GMC) cab-over-engine truck produced sometime between 1941-1947. It has a much more imposing screen presence than some flimsy sports coupe. The playlist for the December 14, 2011 broadcast of the Swing Shift Shuffle has just been added to the playlist filing cabinet. 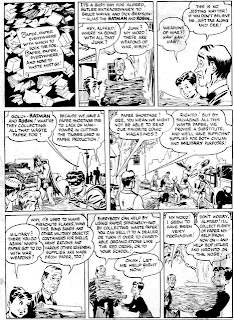 Or put another way: the reason why golden age comic books are so collectible. 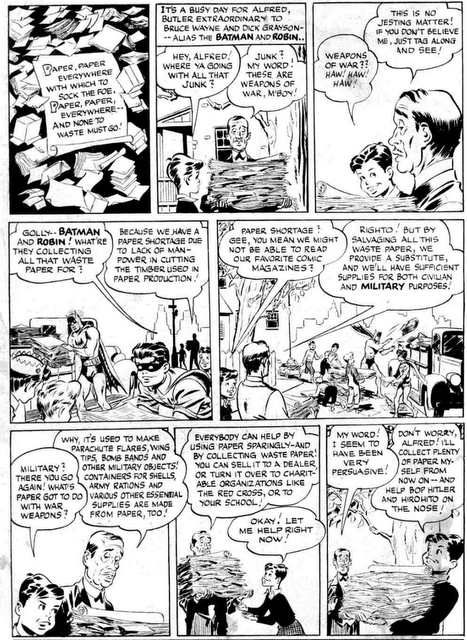 In this post from Four-Color Shadows, Batman, Robin and Alfred star in a public service advertisement encouraging people to donate their waste paper for the war effort. 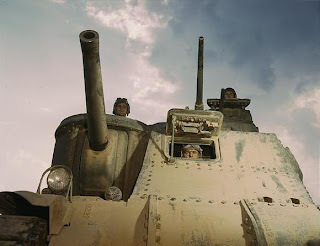 Although I knew almost everything was recycled during World War II, I did not know all of the military uses for paper explained here. 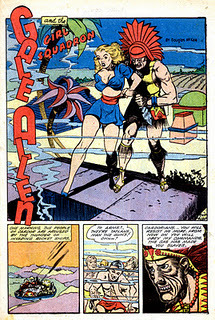 Many an Action Comics was sacrificed for parachute flares. 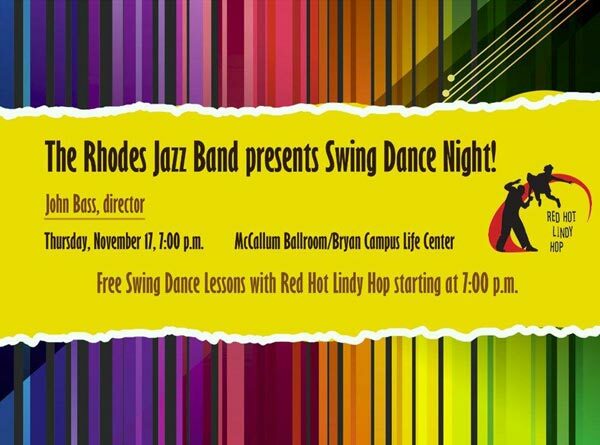 Big thanks to the Red Hot Lindy Hop for a great time Friday night! I had a blast being guest DJ, and hope to come back soon. Meanwhile, the regular weekly lesson and session continues this Friday night at the Rumba Room with a lesson by Erin and Jaredan and music by Jaredan. Free admission before 7:00 p.m., and $5 at the door afterwards. This morning's Sunrise Serenade was "Parade Of The Wooden Soldiers" by Red Nichols and His Five Pennies. Enjoy the video below from YouTube. 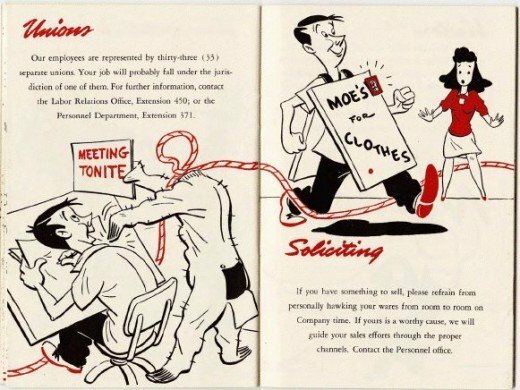 In the 1940s, Seagram's advertised its whiskey by asserting that the bold visionaries who were planning the great technological advances of the future drank its product. Retronaut posted 14 images from these print ads. In addition to appreciating the great artwork, it is interesting to note that only a few of these visions did not come true. Let us run down the checklist. 3-D Movies? Yep. Come, gone and come again. Communications of Tomorrow? Check - voice recognition software, faxes, cell phones, etc. Desert blooming through atomic power? Missed on that one. Only blooms in the desert associated with nuclear power so far are mushroom clouds. Facsimile newspaper? Check your desktop, laptop, tablet or smart phone. Groceries on wheels? Technologically no problem. Just never caught on commercially. Harnessed power of tomorrow? No. We have not harnessed lightning storms yet. Cool idea though. Shopping comfort? Once again, technologically feasible, but never commercially implemented. Skyway delivery? I'm not sure exactly how that gadget is supposed to work. We do have overnight delivery, but I'm still waiting to see this giant wing with a bunch of packages. Supermarket? Easy, although this one has a cool retro style compared to today. Traveling kitchens deliver package dinners? Got 'em, and I am not even counting pizza delivery. TV and radio telephone? Skype. Watch events as you dine? I wish I could get away from a TV in some restaurants. With only 2 weeks until Christmas, I figured I had better start the holiday cheer. Below is an encore from last December. No real story here, just a bunch of animals having fun with winter sports, followed by a sing along with "Jingle Bells." From the Internet Archive, here is Snow Foolin'. 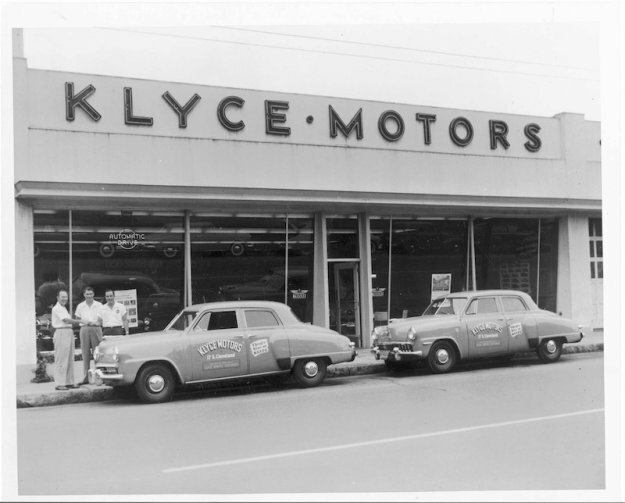 Memphis' own Vance Lauderdale posted not one, but two items about Mr. Ray Noe, Memphis Entrepreneur on Ask Vance. 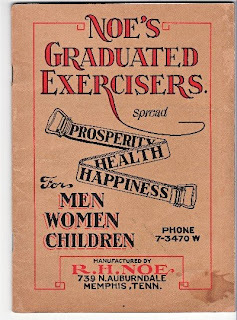 It appears Mr. Noe developed a "Graduated Exerciser" consisting of a strip of rubber with handles on each end, and a successful mail order business began. 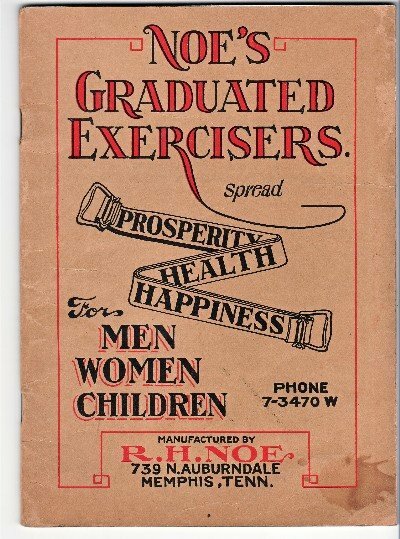 Apparently, the feds charged him with fraud in the early 1940s due to some of the more "optimistic" claims in his advertisements. Despite the charge, the government just confiscated some of his product, removed the labelling, and donated it to a charitable organization. Other than this brief interruption, Mr. Noe continued to make and sell these devices until his death in the 1970s, living on North Auburndale all the while. Interestingly, many similar devices are still available today. This morning's Sunrise Serenade was "You Dyed Your Hair Chartreuse" by Louis Jordan and His Tympany Five. Enjoy the video below from YouTube. 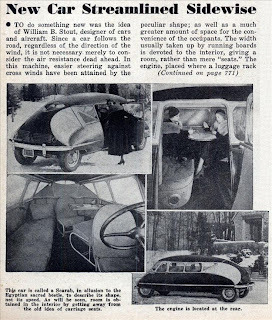 The April 1948 issue of Mechanix Illustrated, posted on Modern Mechanix, featured several new devices for motorists and others on the road. While the curb feelers with an electric buzzer are cool, I particularly like the motor for balloon tire bicycles, although it was hardly new. 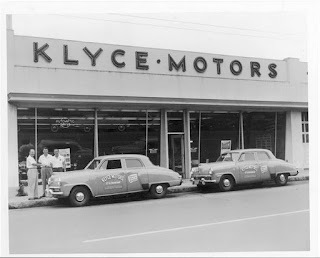 Whizzer was selling such motors in 1939. Today's Sunrise Serenade was "Opus 1" by Anita O'Day with Gene Krupa and His Orchestra. Click on the song title to listen courtesy of Jazz On Line. The playlist for the December 7, 2011 broadcast of the Swing Shift Shuffle has just been added to the playlist filing cabinet. Today is the 70th anniversary of the Japanese attack on U.S. armed forces in and around Pearl Harbor, Hawaii, as well as other American territories acrose the Pacific. 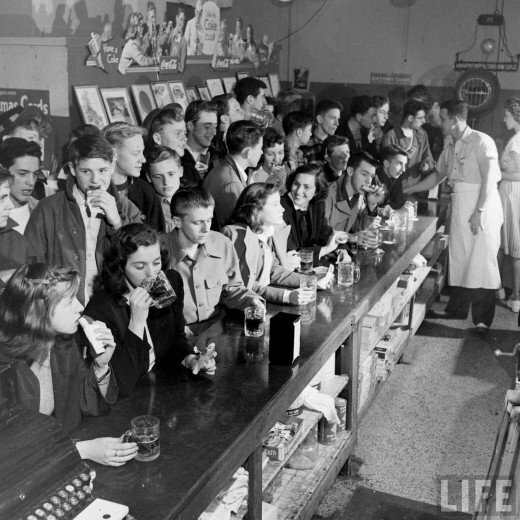 This event marked the beginning of the official U.S. entry into World War II. Many organizations are observing this anniversary with the note that, due to the passage of time, the survivors of this event, and the veterans of the war, are steadily declining in number. 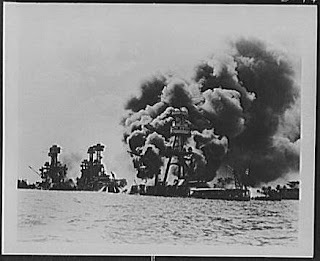 Below, from the Internet Archive, is a recording of President Franklin D. Roosevelt's speech to the U.S. Congress on December 8, 1941, in which he declares the previous day "a date which will live in infamy," and requests that Congress declare war on Japan. 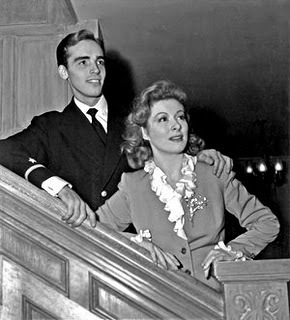 With my unconscious continuing in the seasonal spirit, today's Sunrise Serenade was "Happy Holiday" by Bing Crosby from the 1942 movie, Holiday Inn. Click on the song title to listen courtesy of Jazz On Line. The Red Hot Lindy Hop has invited me to DJ the weekly lesson and session this Friday night at the Rumba Room. The lesson will be taught by Amanda and Kirk, and I will be spinning the tunes. Free admission before 7:00 p.m., and $5 at the door afterwards. Hope to see you there! With the holiday season now upon us, the unconscious is delivering some seasonally appropriate music. This morning's Sunrise Serenade was Glenn Miller's version of "Jingle Bells," featuring Tex Beneke on vocals. Click on the song title to listen courtesy of Jazz On Line. 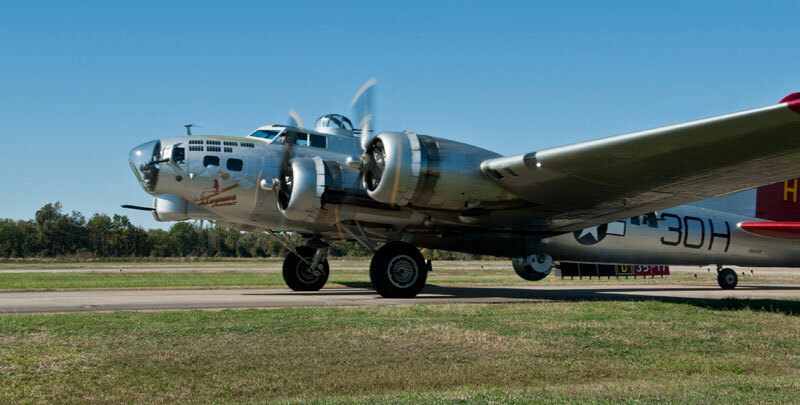 The Boeing B-17G Flying Fortress Aluminum Overcast returns to the Mid-South this weekend at the Olive Branch, MS Airport from December 9-11. Tours and flights on this historic aircraft will be available. 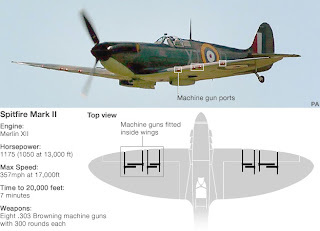 For more information, visit http://www.b17.org/. 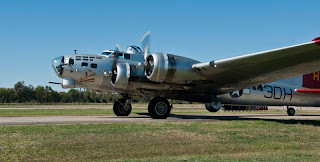 Rachel Hobson recently posted an article about her flight experience on the Aluminum Overcast on Boing Boing. This morning's Sunrise Serenade was "I've Got My Love To Keep Me Warm" by Les Brown and His Orchestra. Click on the song title to listen courtesy of Jazz On Line. I know. 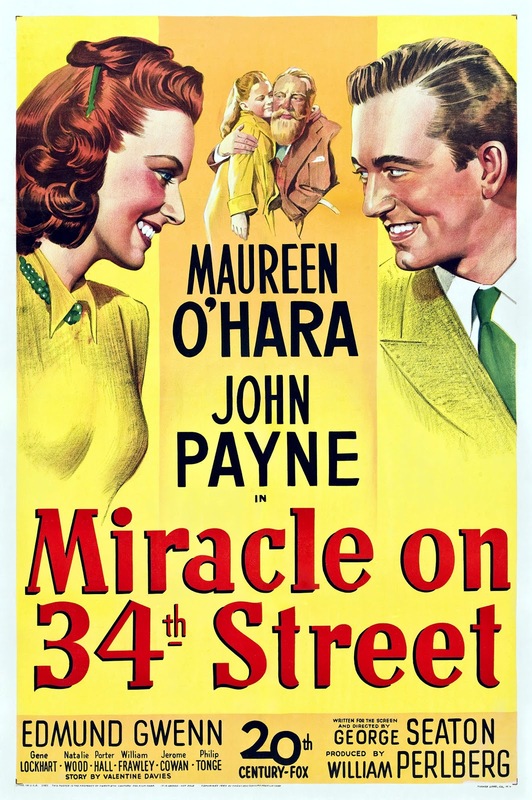 I'm supposed to be taking a break, but I would feel remiss if I failed to post The Hollywood Revue's preview of the TCM schedule for December, especially since the star of the month is one of my favorites: William Powell. 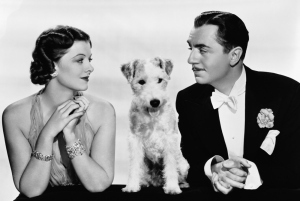 Watch for the entire Thin Man series with Myrna Loy and Asta.